Postdoctoral scholars are a vital part of the research endeavors at our university, and NC State University’s OPA was established on August 1, 2008 to serve as a clearinghouse for information related to postdoctoral appointments as well as to provide programs, resources and support to postdocs. As the biggest land-grant university in North Carolina and as part of the Research Triangle, this institution provides an array of resources for our postdoctoral scholars to prepare them for both a successful transition to our university community and to a career beyond their postdoctoral appointments. This website provides postdocs with information about a variety of topics, resources and opportunities. 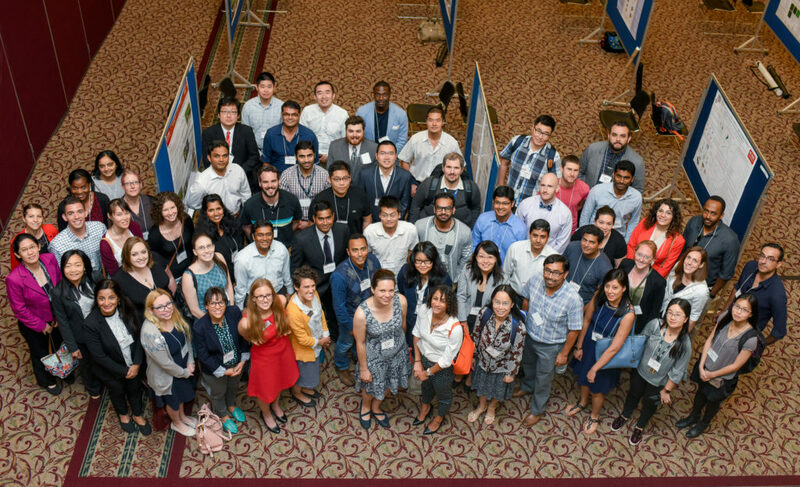 The vision of OPA is to enhance, support and promote the postdoctoral experience so that postdoctoral scholars can contribute effectively to the research and scholarly endeavors of NC State University, develop their professional skills more intently, and move on to rewarding and successful careers. A postdoctoral scholar (‘postdoc’) is an individual holding a doctoral degree who is engaged in a temporary period of mentored research and/or scholarly training for the purpose of acquiring the professional skills needed to pursue a career path of their choosing. 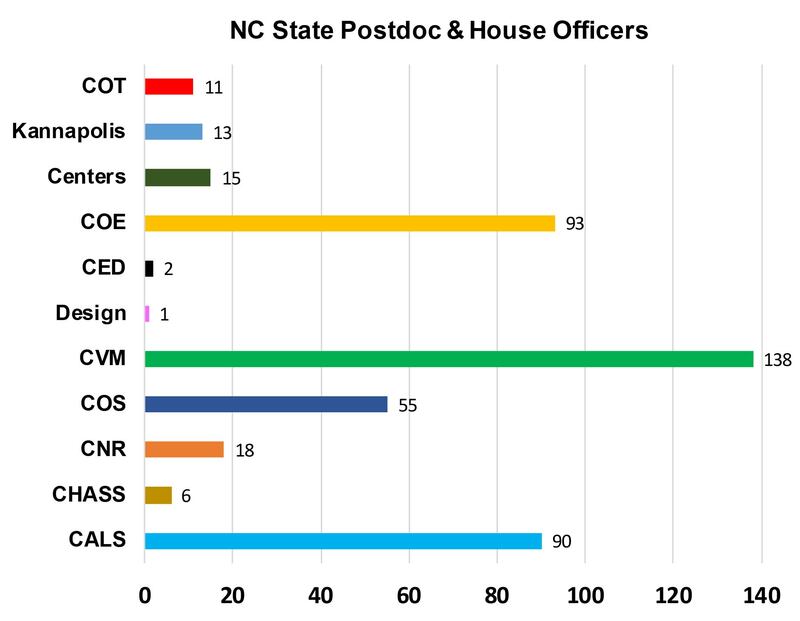 There are approximately 350 postdoctoral scholars and 100 house officers working at NC State at any given time. Postdoctoral Scholars are individuals who have earned a terminal degree and who are engaged in temporary research, teaching, and scholarship-based training positions at the university. Postdoctoral scholars work across academic colleges and centers at the university. House Officers are individuals who have earned a DVM or equivalent degree, and who are working in clinical-based training positions in the College of Veterinary Medicine. House Officers include both interns and residents. The office is unique in that it is the only central resource available to all postdocs, independent of discipline. 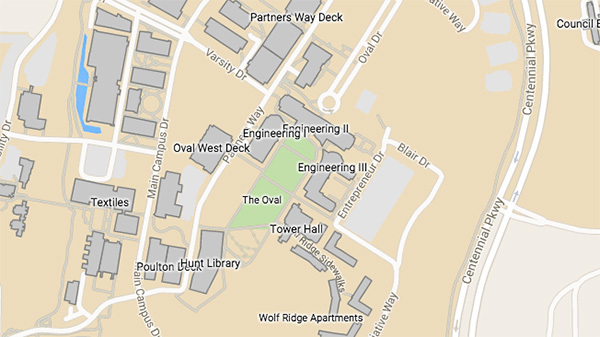 It is our goal to have your postdoctoral experience here at NC State University be both rewarding and enriching. If you have a question or need assistance, do not hesitate to contact the OPA Office.